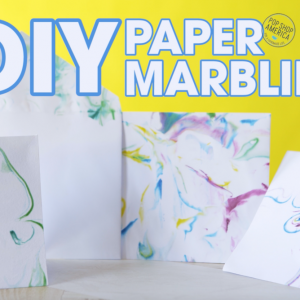 What can’t you marble with nail polish? 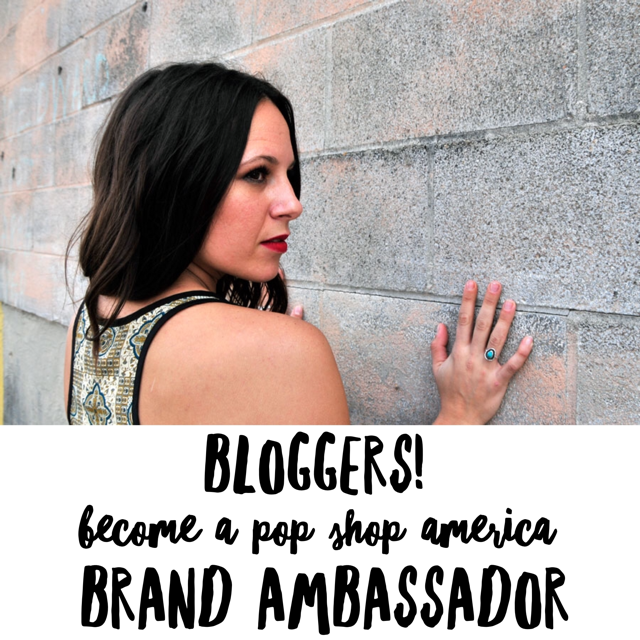 We’ve seriously DIY’ed everything you can think of! 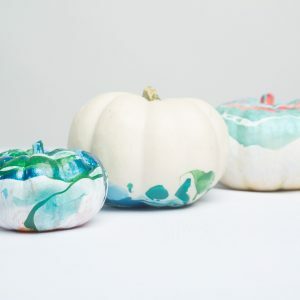 From Nails for the cutest manicure, to coffee mugs, and pumpkins too! 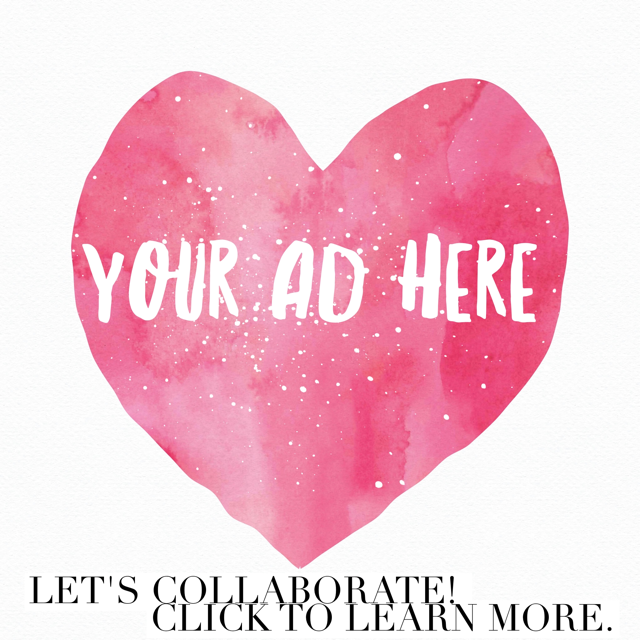 We’ve made all kinds of adorable goods that you can make too. 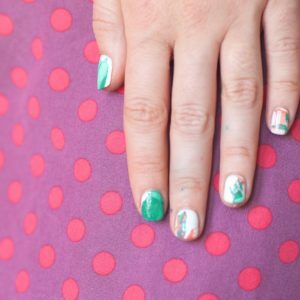 We love the swirled gorgeous colors of nail polish marbling. 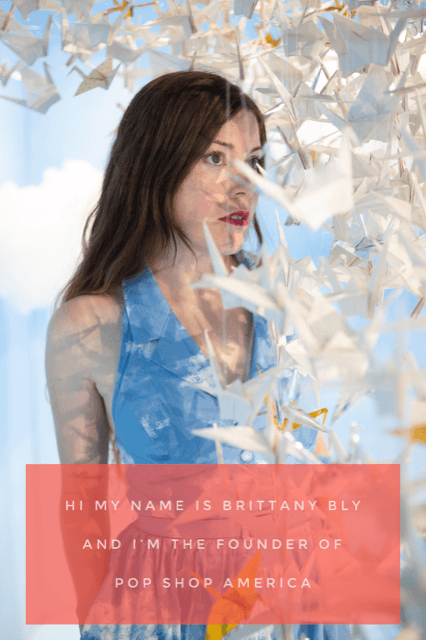 And this DIY happens to be so easy and so fun. 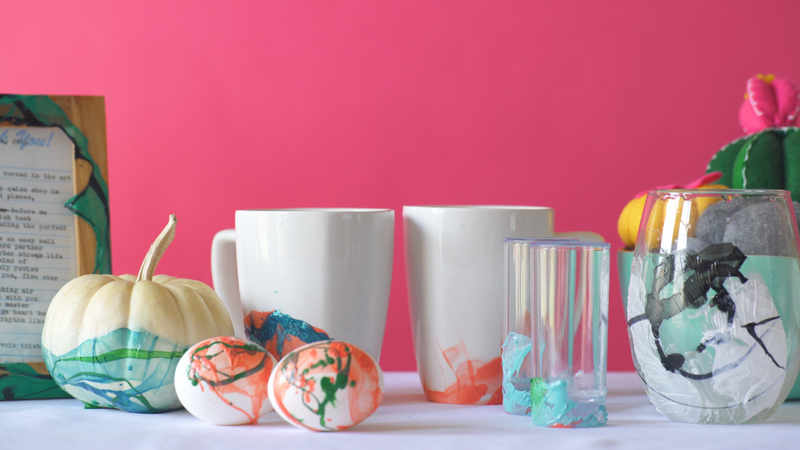 Chances are, you already have all the supplies you need at your house, which makes these DIY Marbled Easter Eggs even easier to make. First, fill your container about halfway with warm water. You don’t want to use boiling hot water, luke warm or slightly hotter will be just perfect! Now pick all of a few of your favorite nail polish colors. I’m a big fan of ombres but you can use whatever you like. Of course, white won’t show up, if you are using white eggs. Now white on brown eggs – that would be gorgeous! 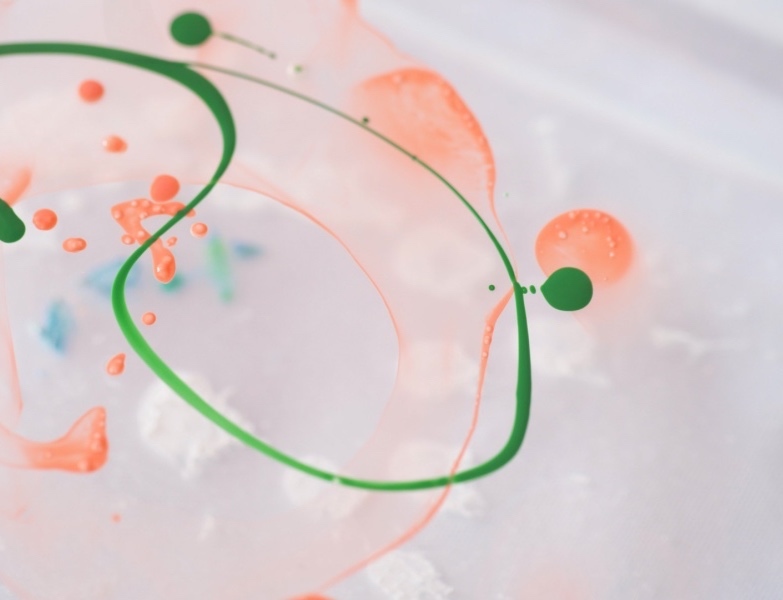 Swirl the nail polish across the surface of the warm water. You can use a toothpick to break up the nail polish or just leave it as it is. Now give it a dip! If you are concerned about getting nail polish on your hands, be sure to use gloves. Because you will want to dip your hand all the way in the water. 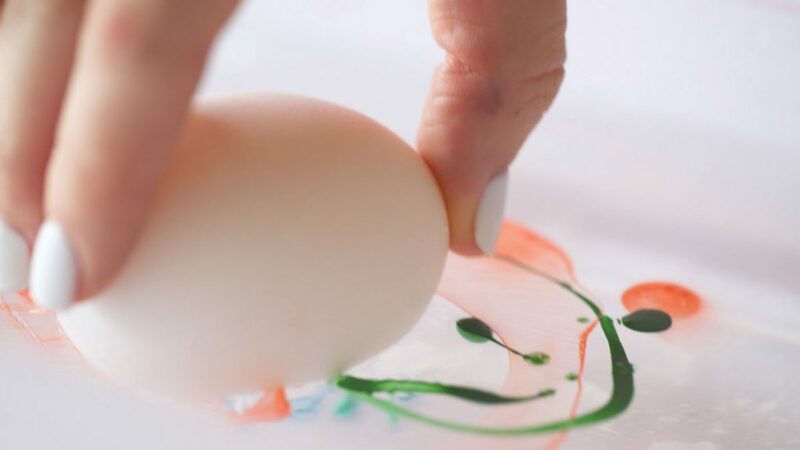 What’s really cool is the second your egg touches the nail polish, it acts like a magnet quickly pulling the nail polish to it! 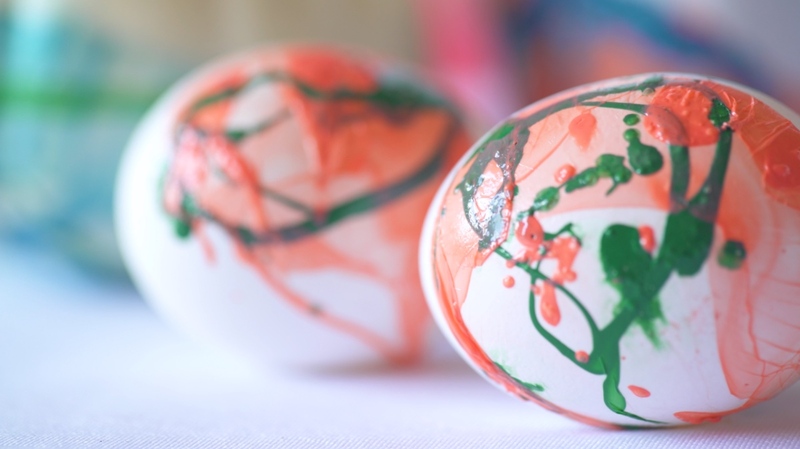 Now the DIY Marbled Easter Eggs will need some time to dry. It’s just the normal amount of time that nail polish usually needs to dry – about 15 or 20 minutes. You may want to create a little paper stand for the egg – just like you get in egg dyeing kits. Otherwise, just leave the eggs balanced on whichever side has the least amount of polish. 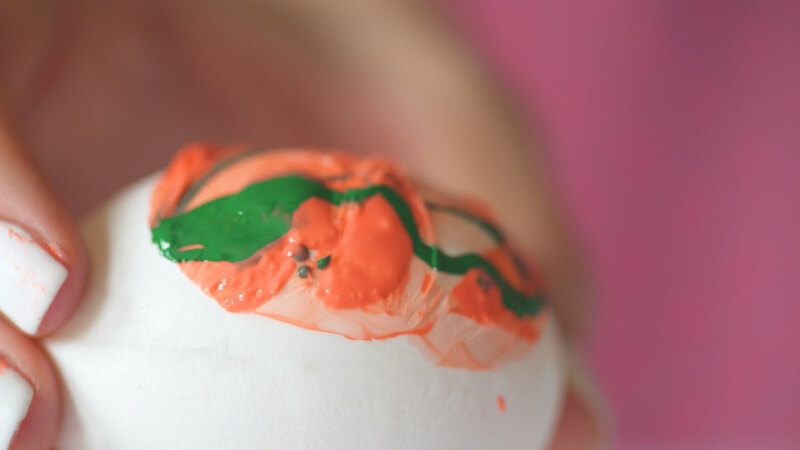 You can double dip or triple dip your eggs in the Nail Polish Marbling for a layered effect! Just be sure that your water stays warm or that you replenish the water periodically. 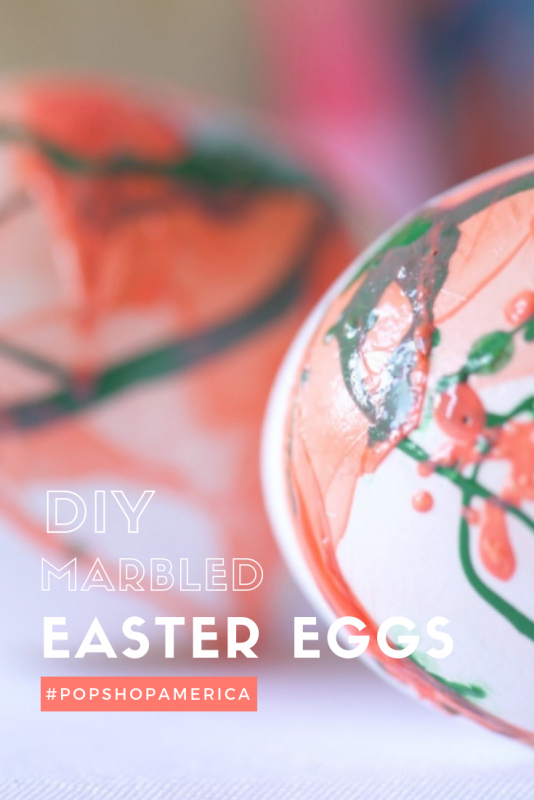 Now have fun with you DIY Marbled Easter Eggs! They are so gorgeous and can be made in all your favorite colors. They are perfect for kids, perfect for Easter and oh so much fun.